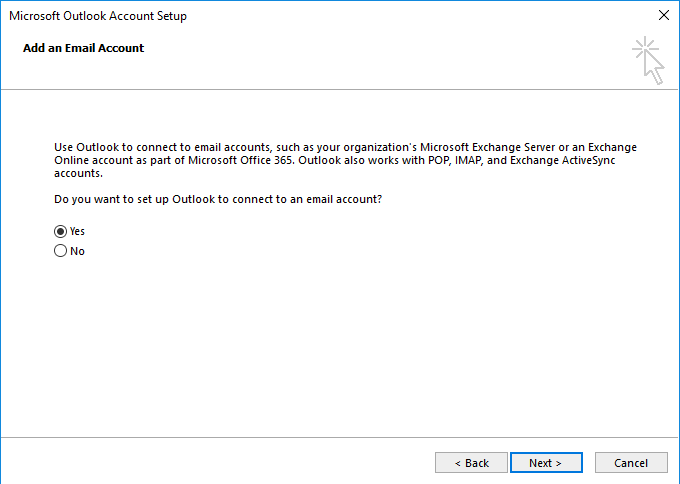 Firstly open outlook then click yes and then next. 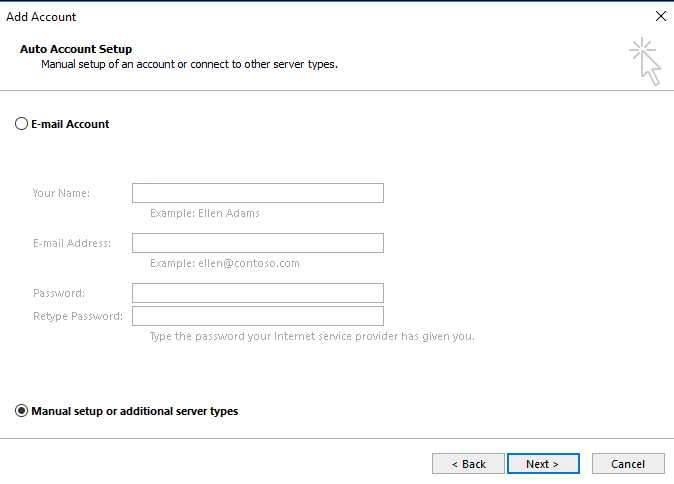 Then click “manual setup or additional server types” then click next (2). 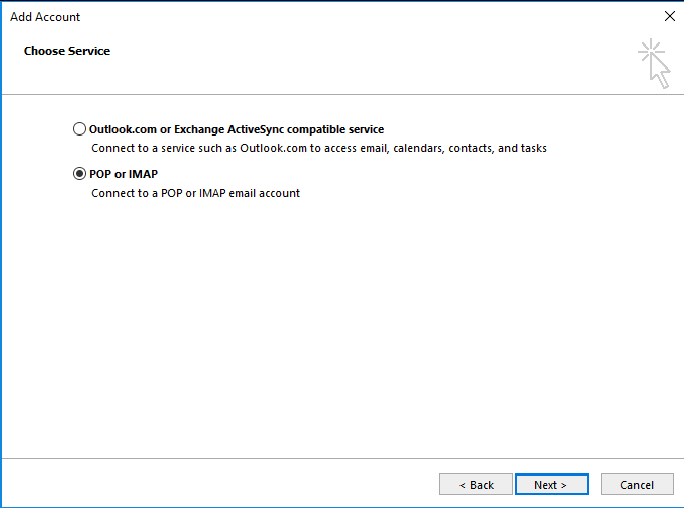 Then choose pop or Imap then click next. Then type in your name then your Email address. Then for your incoming and outgoing mail server make sure you put your Mail host. Now put in your username – usually the same as your email address & password. Your Emails should now all load up without any problems unless it is a new email account therefore you will have no mail in there. If you are using one of our email accounts, please contact us to obtain your email credentials. If you would prefer to download the step by step guide click on the the button below. If your still having issues, please contact us and we can provide you a quote to help you set it all up or do it for you if your one our customers.